Skoda's new SUV has a radiator grille that blends into the headlamps. The automaker also described the lower body panels as “flowing” to the rear of the car, accentuating the wheel arches. After record sales in China last year, Skoda aims for a further boost in its biggest single market by introducing what it calls a "mainstream urban SUV." The model will be Skoda's third SUV in China, and unlike the other two, the Kodiak and Karoq, which are sold in Europe, the small SUV will be marketed only in China. The SUV is built on a version of Skoda's low-cost PQ platform instead of parent Volkswagen Group's MQB architecture to better compete against budget Chinese rivals. 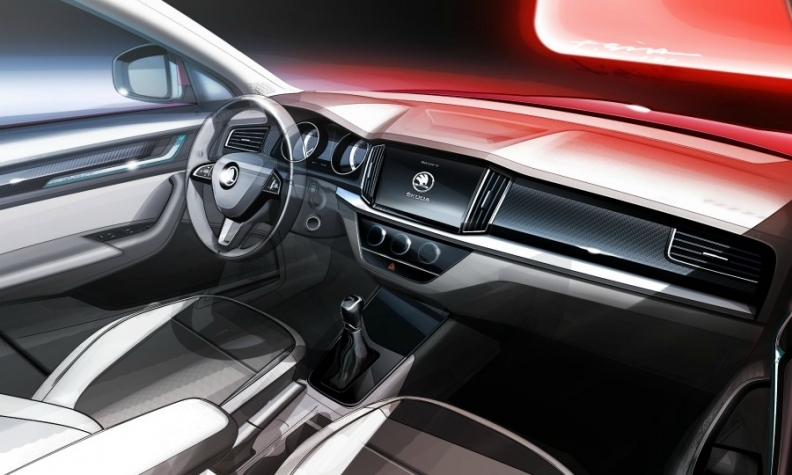 It will be aimed at customers in "tier 3 to tier 5 cities," meaning smaller cities than the top tier megacities such as Shanghai, Beijing or Shenzen, Skoda CEO Bernhard Maier said at the automaker's annual results press conference on March 22. Skoda confirmed the SUV's debut at the Beijing show on Monday but has not released its name, or any pricing or powertrain details. Reports said the car will be called the Kamiq. The Kamiq sketches show that the interior infotainment screen is embedded into the dashboard to keep costs down, rather than 'floating' on top as previewed by the Vision X concept. Skoda confirmed the SUV's debut at the Beijing show on Monday but has not released its name, or any pricing or powertrain details. Reports said the car will be called the Kamiq. Spy shots also show its resemblance to Skoda's other SUVs. Skoda's sales in China increased by 2.5 percent to 325,000 last year. The automaker aims to nearly double volume to 600,000 by 2020. The company said 30 percent of its sales in China in the first quarter this year were SUVs. It also sells in China the Yeti small SUV, which will be discontinued to make way for the Kamiq launch midyear, Skoda said. The Kamiq has been developed by Skoda alongside VW's Chinese joint venture partner SAIC. Targeting China expanding SUV market is a key part of Skoda's strategy to increase its sales in the country. 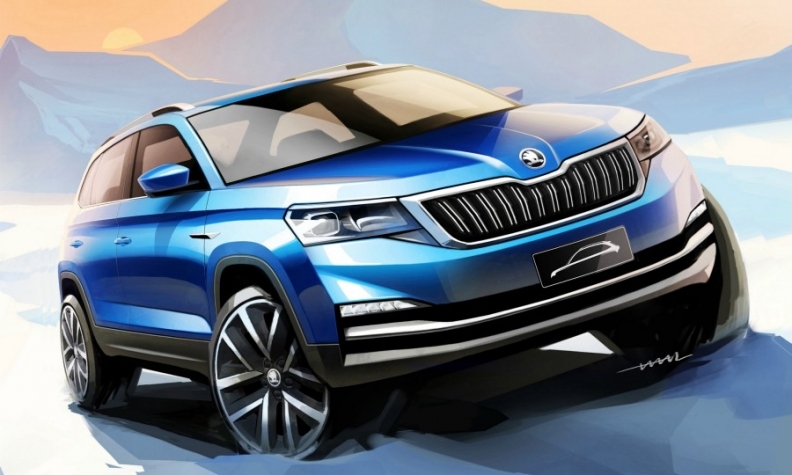 Later this year the company will reveal a sporty version of its Kodiaq seven-seater and next year will launch another China-only SUV, codenamed Project K.
Skoda plans to launch a separate small SUV in Europe next year. That car was previewed by the Vision X concept at the Geneva auto show in March and will be based on VW's MQB platform.